Hi there guys! How is the world of graphic design treating you so far? We really hope things are nice and you are getting a lot of exposure each coming day. 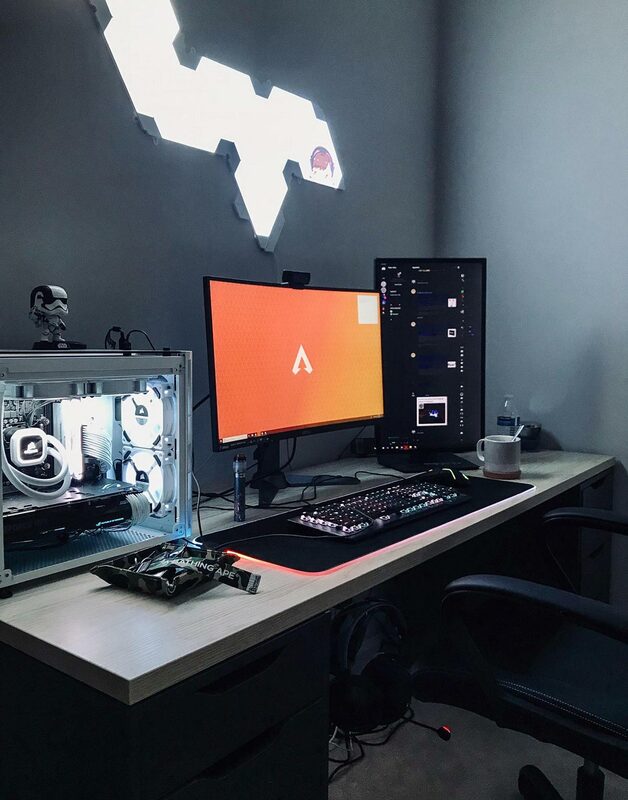 So, today we just got done with setting our new workspace. We have decorated it with our precious memories as well. And now we are making sure that it stays clean for at least a day before we start working on our new projects. While we were busy ‘renovating’ our workspace, we had already decided the topic for our today’s blog. We will share some shopping items with you to help you make your workspace look perfect. What are you waiting for? Let’s get started! 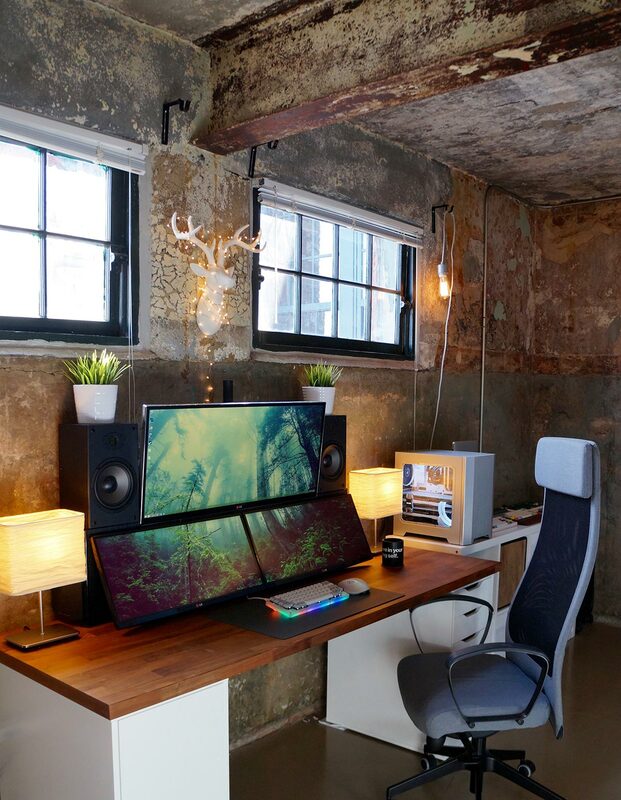 First things first, (if it’s something you can decide) make sure your workspace is large enough so you can place gadgets to play with. It is also very important to sit and work on ergonomic furniture so always – ALWAYS get only that. You won’t want to exhaust yourself while designing for hours. These days, many different companies are manufacturing smart furniture items. Such stuff comes with smart holes and spaces to keep the wires in one place without becoming a hindrance. 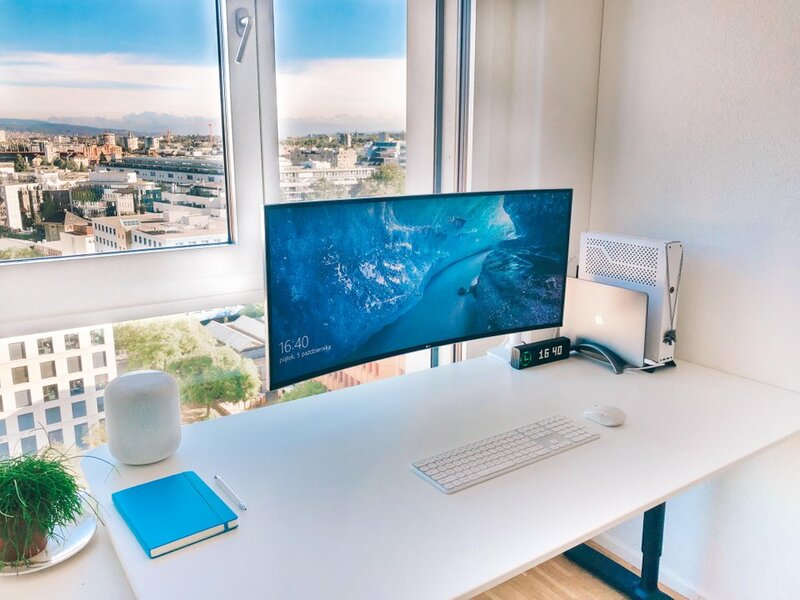 So, if you want to work without getting interrupted with the wire of your screen or mouse then you should prefer purchasing smart furniture for your workspace. You can keep your workspace neat but that doesn’t mean boring and dull colors. Go for subtle colors as workstation is that place where we spend a major chunk of our day. You can pin or pate your best photos, inspirational artworks, monuments etc. to make the space look beautiful. Also ensure that your work station has a foot rest so that you can work as comfortably as you can. All the tips which we have shared in this blog can be followed by freelance graphic designers as well as by employers of the companies – as it’s important to work in a peaceful & comfortable environment. 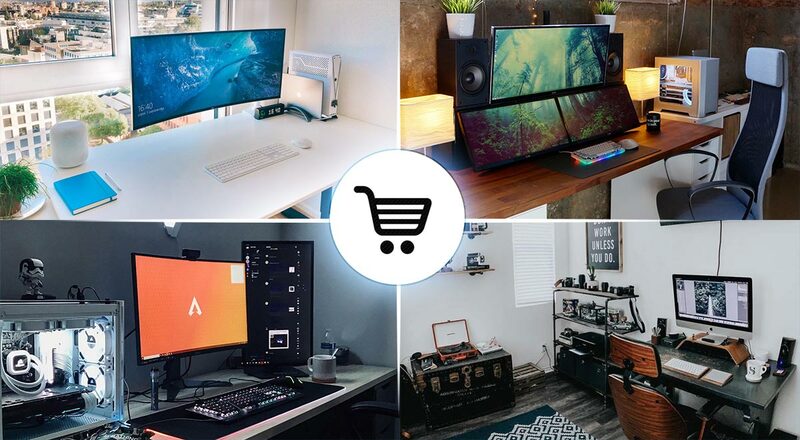 Here are few perfect workspace images with hotspot shoppable items. 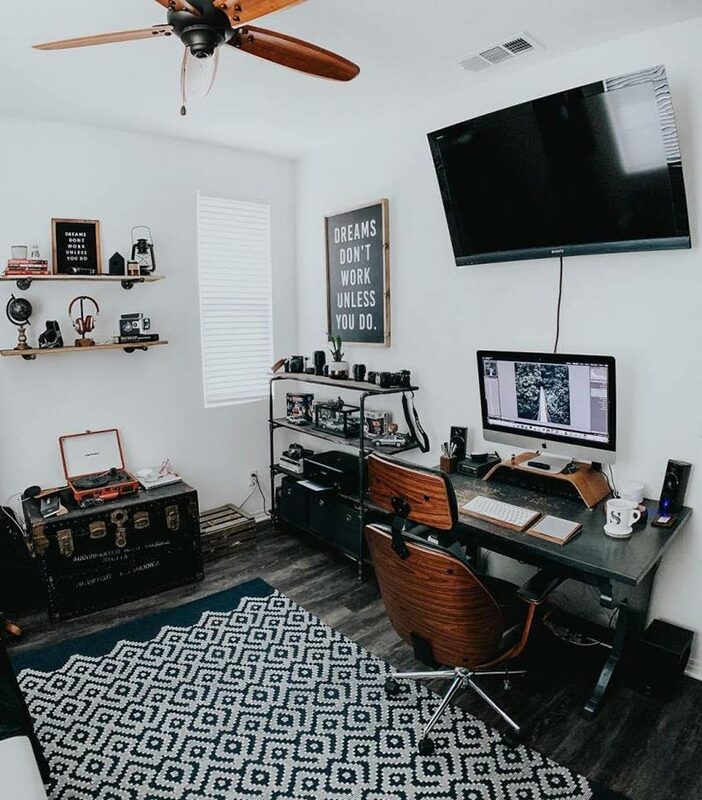 Make your studio setup peaceful so you can love the place and work effectively for the projects. Here you are.